Parent Booster USA seeks out new products and services to make operating a school support organization easier. Explore these services to see how they can help your organization. The information included on this page, and at external websites linked from this page, is provided to PBUSA by the third party businesses and organizations listed here. Please explore these products and services and determine based on your own evaluation and analysis of the benefits and risks whether these resources are useful and appropriate to you and your organization. Accept credit cards anywhere – online or in-person with MySchoolBucks – and give your school support organization the financial control and accountability it needs to effectively manage fundraising, donations, and other payments. Give your donors an easy, convenient way to pay! Funds2Orgs helps you achieve your fundraising goals WITHOUT asking anyone for money or having to sell candy, cookie dough or anything else. Instead, with Funds2Orgs you collect gently worn, used and new shoes and when you're done we issue you a check. Yes, it's that easy and simple. In addition, we provide you everything you need with NO out-of-pocket costs. You get a dedicated fundraising coach and a team that works with you from start to finish. You receive all of the shoe collection, marketing, and promotional materials, and so MUCH more with Funds2Orgs. Want to find out how Funds2Orgs can help you raise money in a way in which almost anyone can participate? Take a moment and visit our website at Funds2Orgs.com. Did you know that you, as an individual member of a school group or an officer could be held personally liable for an accident that occurs at one of your events? Personal Liability means that your personal assets (home equity or savings) could be at risk if you were sued because of something that happened at one of your events. For more information, contact us at www.aim-companies.com/parent-booster-usa or 1-800-876-4044. StateChamps provides powerful, secure, and hassle-free solutions to help high schools sell tickets online. StateChamps is the only online ticket solution BUILT for high schools. 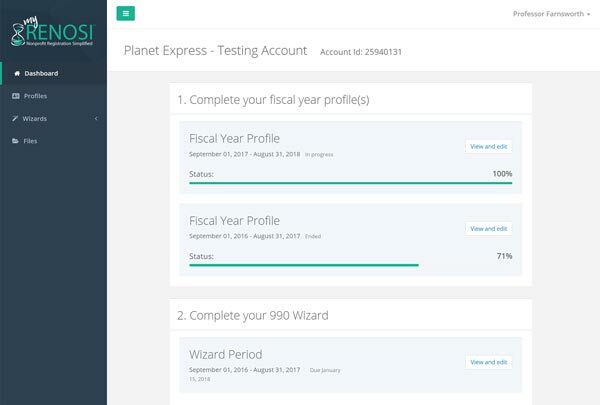 Featuring patent-pending SHARE AND TEAR™ Technology, StateChamps enables high schools to realize the benefits of online ticket sales WITHOUT the need for expensive investments in scanning equipment or internet infrastructure. 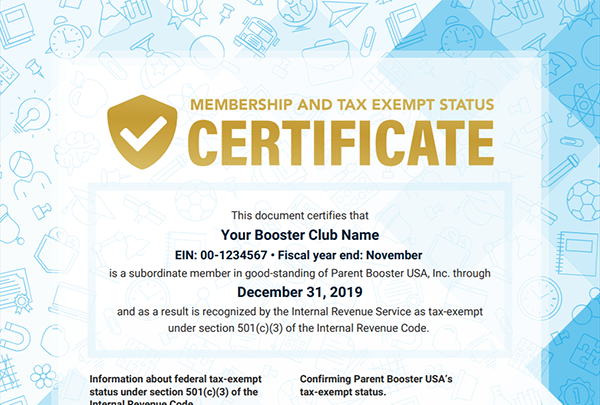 Given that cash security and reducing fraud are key areas of focus for booster clubs, StateChamps provides an easy way to move cash transactions online, and mitigate exposure to these threats. The best part? StateChamps is provided at no cost to schools or booster clubs! Check out StateChamps today (and see a demo of SHARE AND TEAR™ Technology). Permission Click delivers digital permission slips, forms, and payment collection to K-12 schools, PTAs, booster clubs, and daycares. Say goodbye to paper, cash and checks! Sets up in less than 15min, and free for your club to enjoy.